Finding a budget-friendly house on the water might be easier than you think. We found listings across the country that are easy on the eye and the wallet. Whether you’re ready to land a waterfront home or just daydream, check out these 10 homes under $300,000. 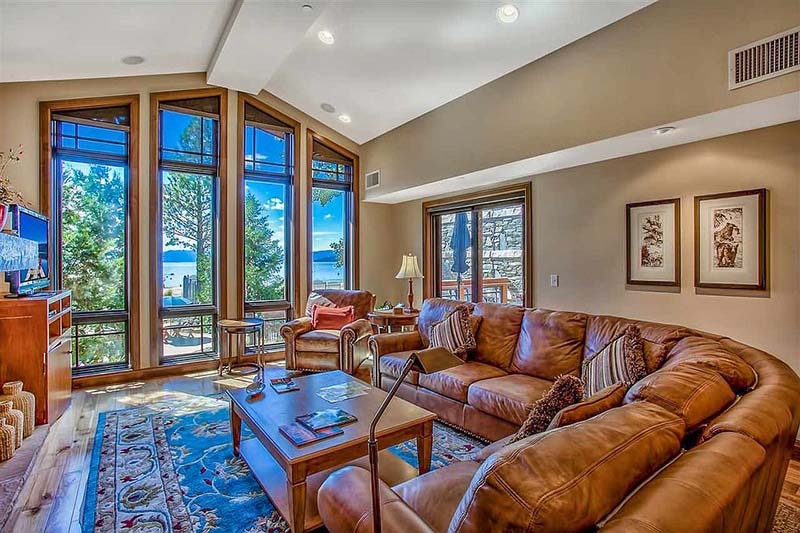 Overlooking gorgeous Lake Tahoe, this 3-bedroom, 3.5-bathroom lakefront home is available for shared ownership, giving you 6 weeks here per year. In addition to a lakefront pool, fire pit and BBQ, the Tonopalo community offers access to a luxurious spa, workout facility, sandy beach, sail boats, kayaks, stand-up paddle boards and more. See more Tahoe Vista homes for sale. Perfect for family fun in the sun, this spacious lakefront home has top-rated schools nearby, according to GreatSchools.org. The 3-bedroom, 3-bathroom interior includes an office and dining room, granite countertops, stainless steel appliances and a breakfast nook overlooking the lake. 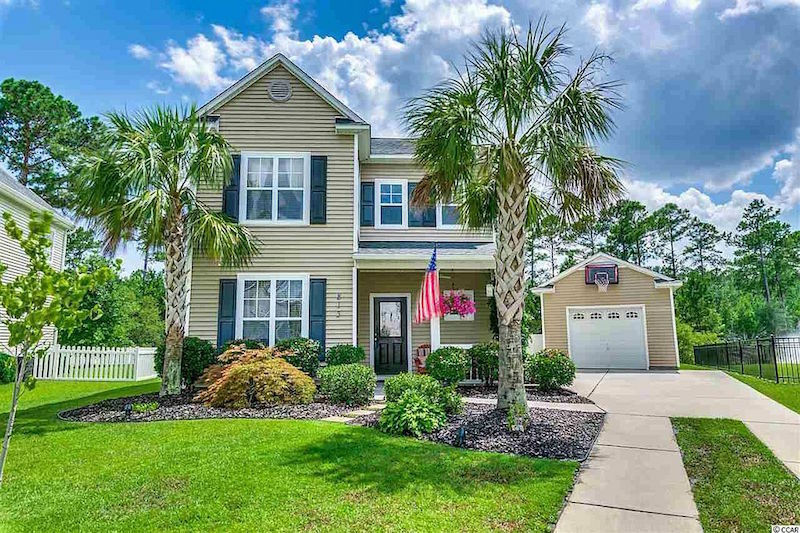 See more homes for sale in Myrtle Beach. Located on Eliza Island in breathtaking Bellingham Bay, this high-bank waterfront home has sweeping mountain, sound and bay views. 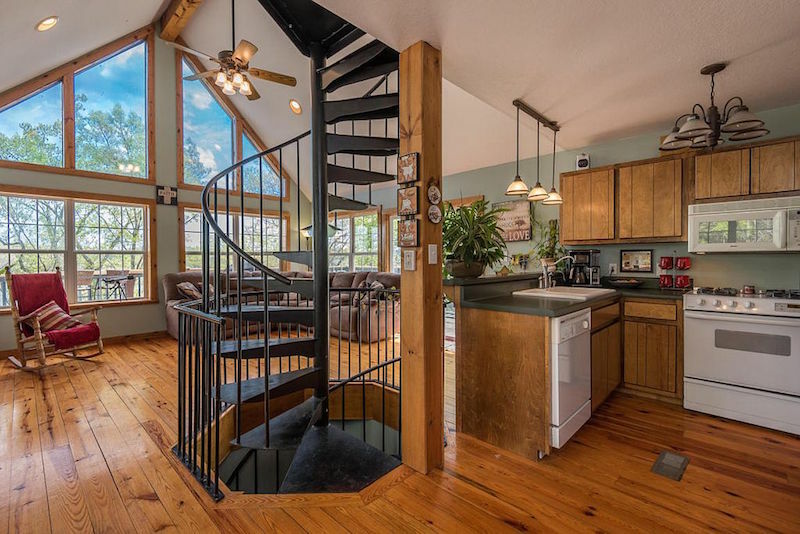 Custom built with an open floor plan, vaulted ceilings, a large loft and spiral stairway, this home is stunning inside and out. Perched atop Broad Creek, this 2-bedroom, 2-bathroom home brings posh style to a rustic retreat. In addition to having waterfront dock access, the house includes a master suite, spacious front and back decks, and a family room perfect for entertaining. See more Darlington homes for sale. 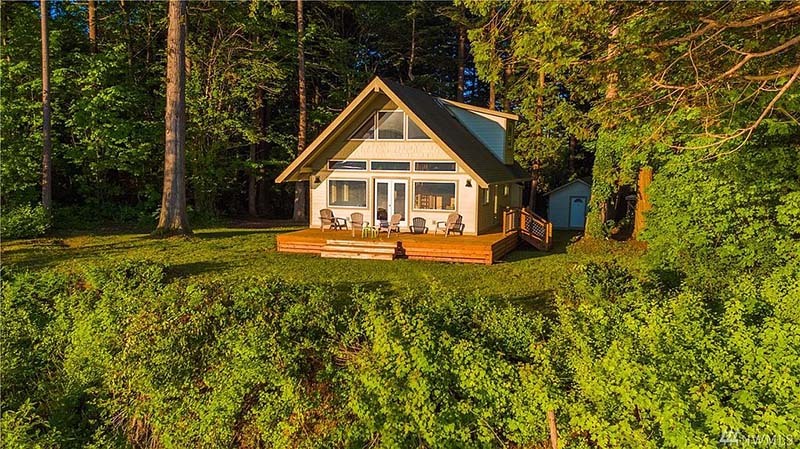 Overlooking serene Lake Ontario, this 528-square-foot cottage has a spacious deck and beachfront perfect for paddling out with kayaks. The interior features an oak kitchen, fireplace and floor-to-ceiling windows overlooking the water. 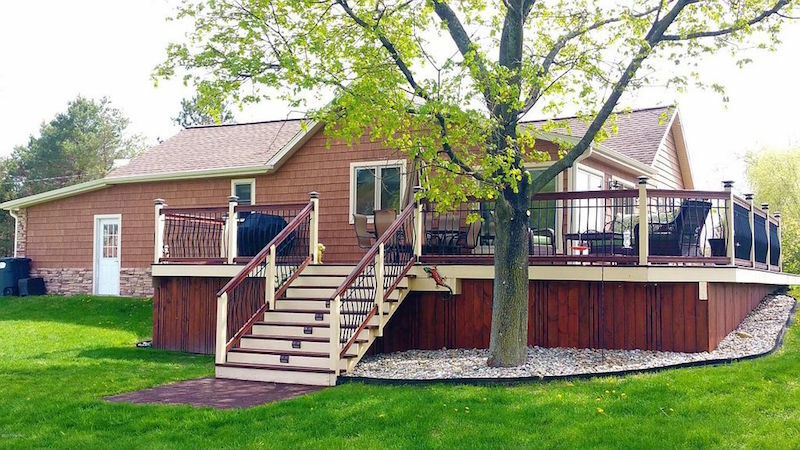 See more listings in Sodus. 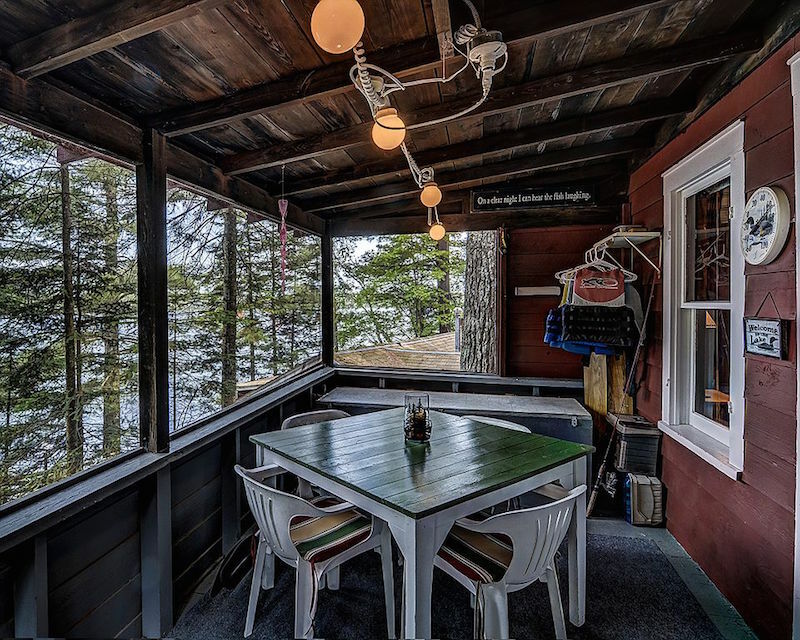 This 2-bedroom, 1-bathroom lakefront cabin offers access to all that Little Saint Germain Lake has to offer, including 13 miles of shoreline and numerous bays and islands to explore. The property spans 8 acres with a fire pit, playground and recreation room. See more homes for sale in Saint Germain. Situated on half an acre, this newly remodeled lakefront home has plenty of indoor and outdoor space to entertain. In addition to nicely landscaped grounds and multiple decks, its interior has vaulted pine ceilings and a modern kitchen. See more homes for sale in Golden. Boasting panoramic views of Watts Bar Lake, this 4-bedroom, 3-bathroom property has abundant outdoor space to enjoy the scenery, including three decks with hammocks and a hot tub. Every bedroom and living area overlooks the lakefront, which is outfitted with a large covered dock and electric boat lift. See more homes for sale in Rockwood. 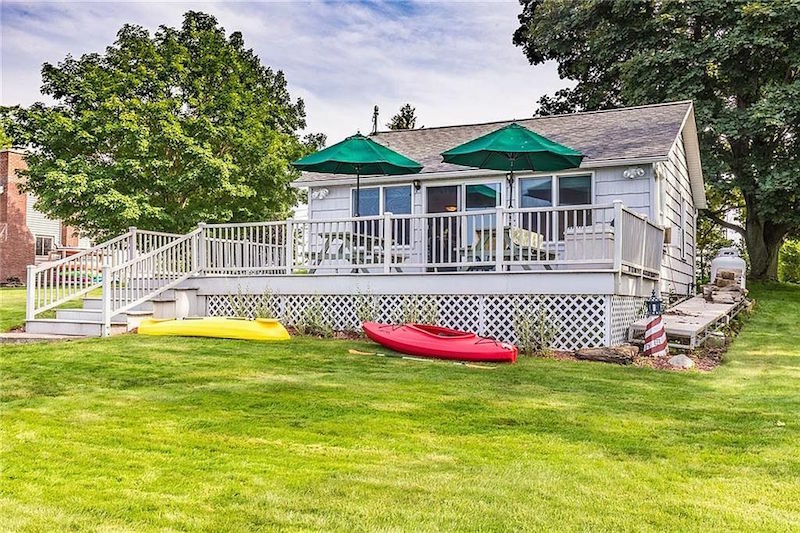 Sporting a private sandy beach on beautiful Todd Lake, this 2-bedroom, 1-bathroom home has been updated with granite countertops and a custom wrap-around deck with sweeping lake views. 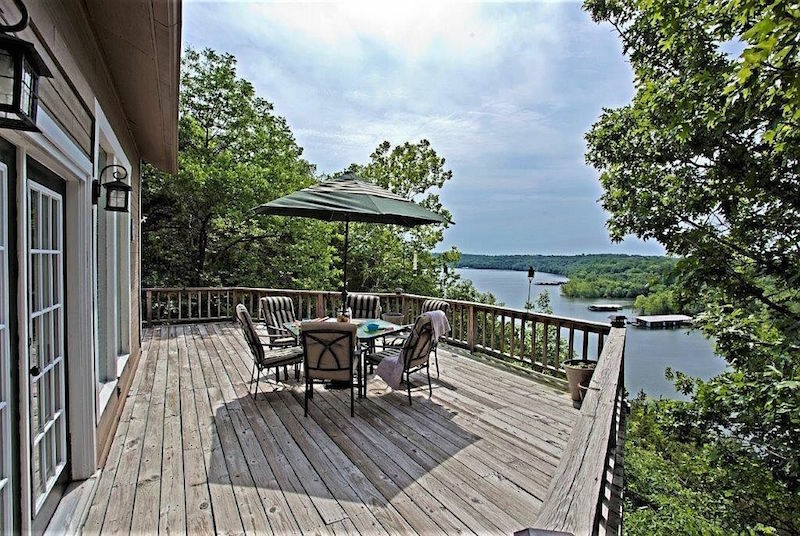 Close to fishing, trails and other lakes, this home is ideal for an outdoor enthusiast. See more listings in Reed City. Built on an acre of land, this 1-bedroom, 1-bathroom tiny home packs a lot outside its small frame. 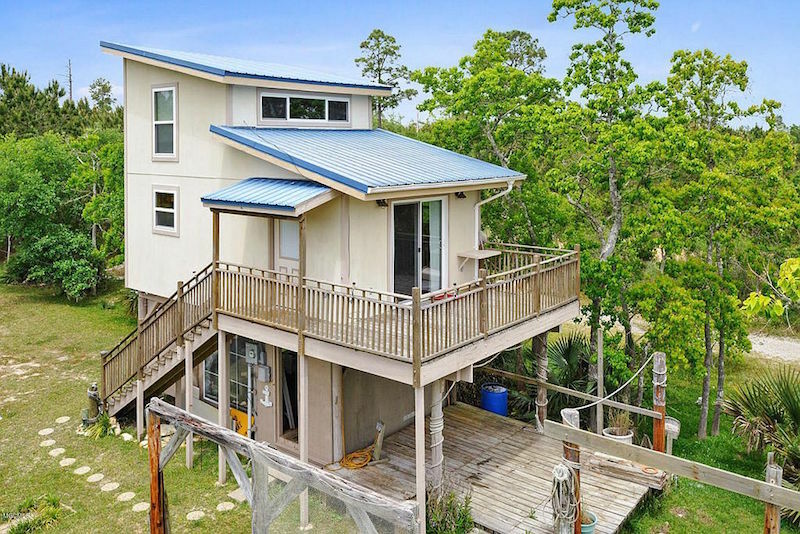 With 200 feet of Breaths Bayou waterfront, this home is outfitted with a powered boat launch and RV pad. It’s surrounded by mature trees, including queen palms, oak and cedar. See more listings in Bay Saint Louis. 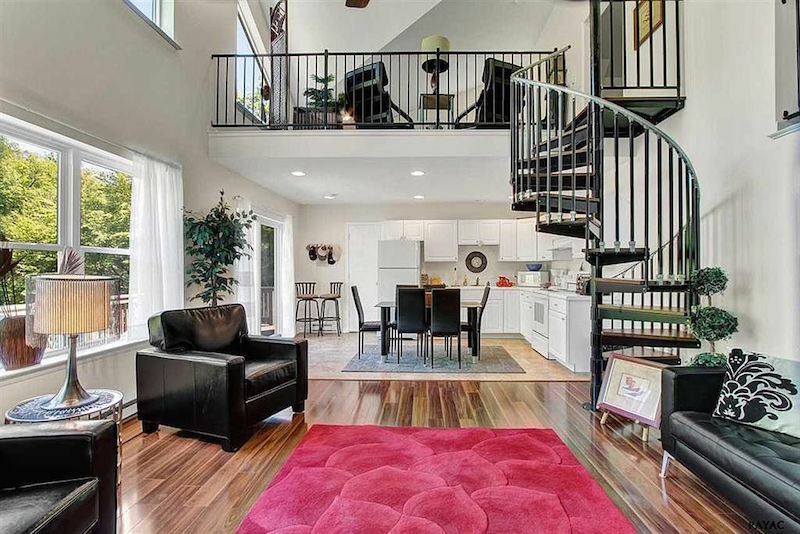 Lead photo from Zillow listing.